A device driver, commonly referred to as a driver in computer, is a computer program that operates or controls a particular type of device that is attached to a computer. Your computer doesn’t natively know how to use a printer—it needs a driver to tell it to do that. Drivers would be updated by the hardware manufacturer to fix bugs or add features to better interact with a hardware device. What do you think is the most annoying thing when you try to reinstall Windows? My Windows machine keeps crashing on me every a year or two due to virus and different reasons and I find it great trouble to reinstall drivers for different devices after Windows is installed. If you are a guy that is not tech-savvy, you may probably get stuck here as you are not familiar with this and you probably don’t have a backup CD/DVD for the drivers required nor there is one on HDD. You don’t even know the model number of each device and there is nowhere for you to find one proper driver online. What I’d like to recommend today is a driver doctor-IObit Driver Booster, that is able to find over 8 million+ drivers and keep your outdated drivers or missing drivers up-to-date for your Windows 10, 7, 8, 8.1, XP and Vista. 1 Do you need a driver update? 2.1 How to Update your drivers? Do you need a driver update? If you have a hardware device that isn’t working properly with your computer, it can be very helpful to update the driver. When suddenly you cannot hear any sound from the computer, or your ethernet connection drops occasionally, or your printer’s not printing properly, you may consider a drive update. In most hardware not working cases, say if you cannot connect your Android phone/tablet to the computer or your laptop cannot get access to WIFI, one of the first troubleshooting steps you should take is to update the driver, since these issues may be fixed in a new update. You may hear of the golden role for updating drives: “If It Ain’t Broke, Don’t Fix It”. But things are not always 100% believed to absolute in all situations. Video drivers are updated more often with big performance increases, especially in new games while other drives are updated for bugs. To eke out every tiny bit of performance out of your system, you should make sure that your video card drivers are updated and up to date. You are able to install driver updates from the device manufacturer in Windows, but you will have to check the updates one by one. It takes time and you won’t know the missing drivers if you are not professional here. iObit Driver Booster Free offers a safer and more convenient way to install missing drives and keep your drivers update to date and thus is able to fix some hardware problems. 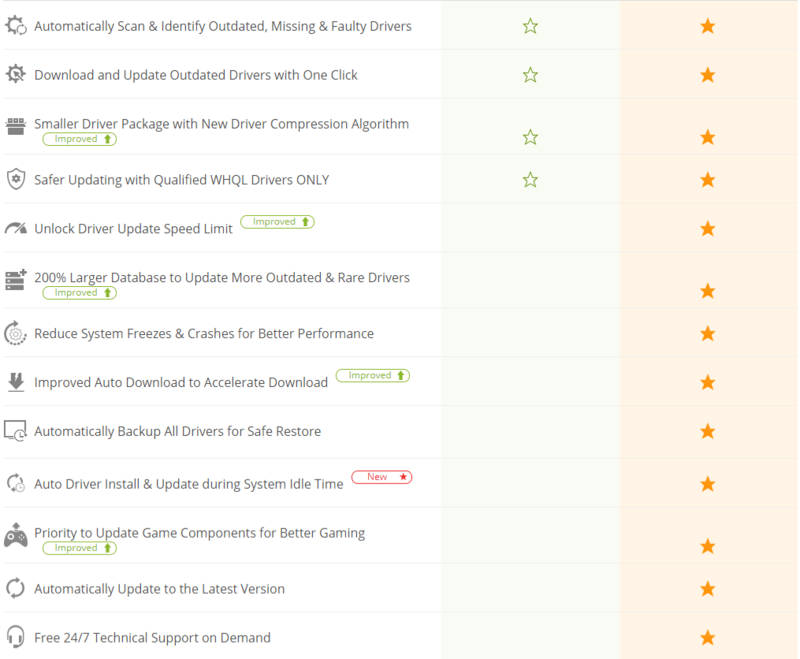 How to Update your drivers? Step 1. Download, install and launch IObit Driver Booster. Step 2. Every time you open IObit Driver Booster free, it automatically scans your system for every driver detail or you can click the big Scan button to scan drivers yourself. The scanning is very quick and it won’t take you a minute to do so. Step 3. After scanning you will be presented a list showing what you need to install and update. Click Update to update a single driver or install missing drivers or the red Update Now to update all. IObit Driver Booster provides five very useful troubleshooting tools related to drivers, four for free and one for pro. With those troubleshooting tools, you are able to fix problems like no sound, network failure, bad resolution, device errors etc that is caused by drivers. And IObit fixes those problems for you in one click. There are indeed free ways to update drivers, but it takes much more time to find a proper driver. IObit Driver Booster is able to update your drivers within 4 mouse clicks and you don’t have to be tech-savvy with its simple UI that walks you through step-by-step. It will be perfect to be able to backup the drivers to HDD before I reinstall Windows so I don’t have to download and install, which I assume saves more time. Very nice review Hunkhan. How are you going? I see that your traffic did not increase much so far. Hope your business is fine. Thank you Jacky. I’m fine and busy but I enjoy blogging! How about you? I am busy too. So many changes and updates from Google make me frustrated. Traffic drops some times and finding a way to recover. Same here. Good luck to you and keep in touch!